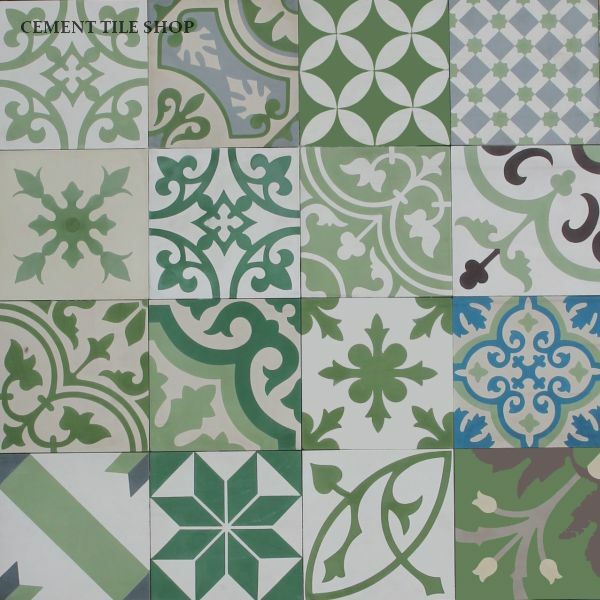 We have a new addition to our popular handmade cement tile patchwork collection! 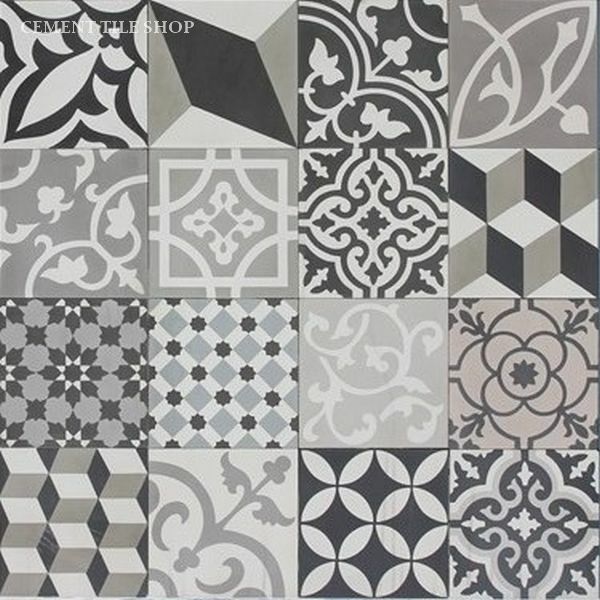 For the first time, we now offer our random patchwork in 4″ x 4″ cement tiles. These tiles are offered in a thinner thickness than our standard tiles. They are only 15/32″ thick (1.2cm). 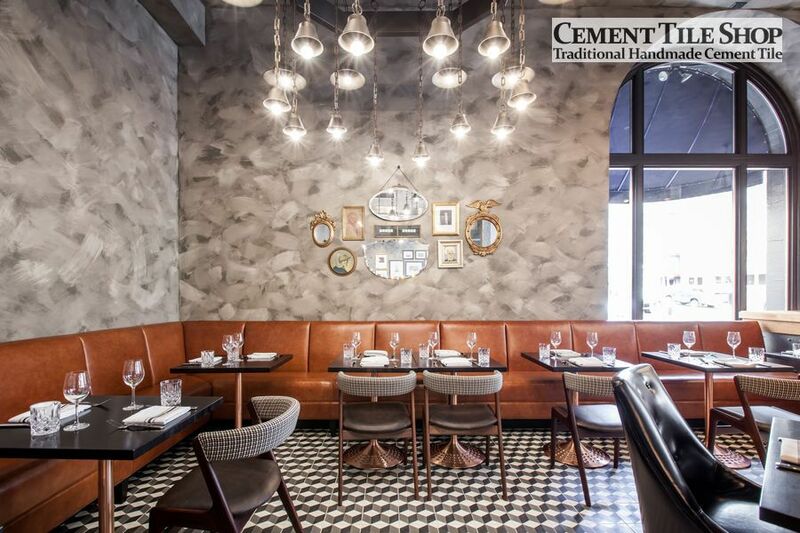 This size and thickness of cement tile is a perfect option for kitchen backsplash and decorative wall applications. Perfect for residential or commercial applications. Better yet, this option is in stock and ready to ship! 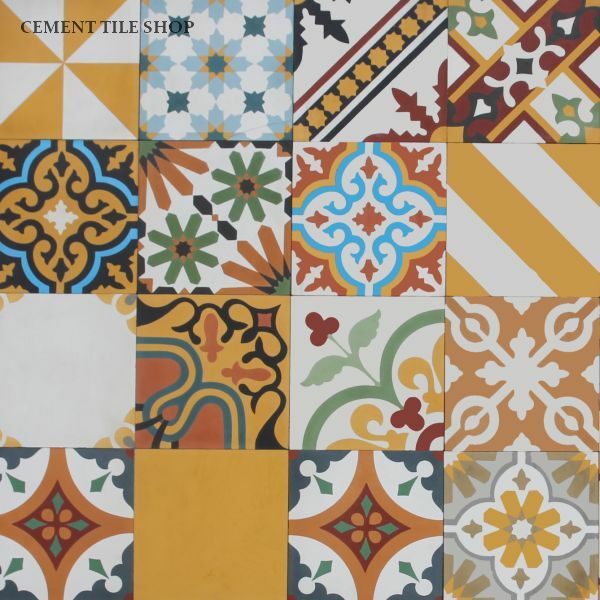 As with all of our Patchwork cement tile offerings, each option is a random selection of handmade cement tiles shuffled at the factory. We have no control over the patterns included. 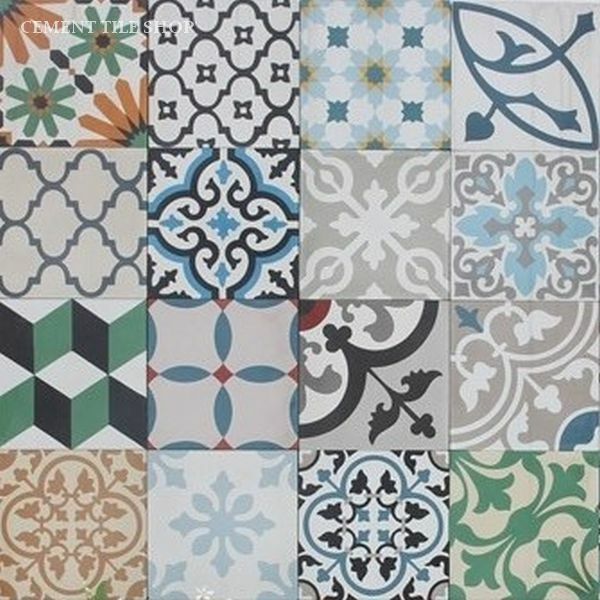 For more direct control of the patchwork consider adding additional boxes of tile patterns from our Pacific Collection. 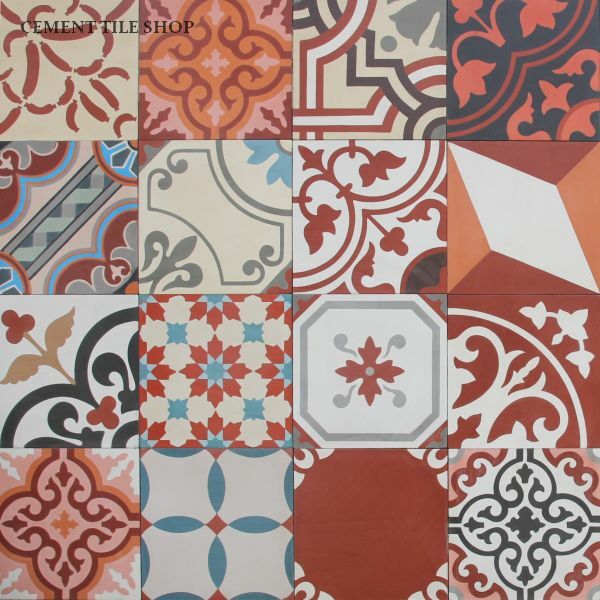 Traditional 8″ x 8″ cement tiles in a standard thickness (5/8″) from our Pacific Collection are also offered in several color options as well as random. 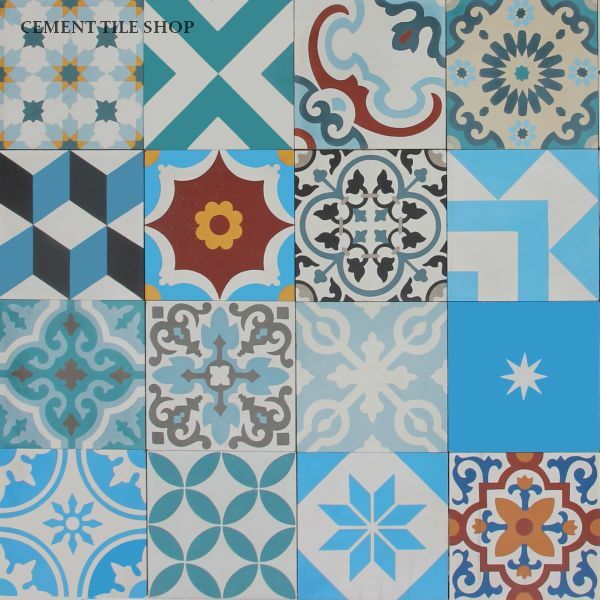 Contact Cement Tile Shop at (800) 704-2701 for more information on our patchwork cement tiles or to order. BDK Restaurant at the Kimpton Hotel Monaco San Francisco is named after the late founder of Kimpton Hotels and Restaurants, Bill Kimpton. 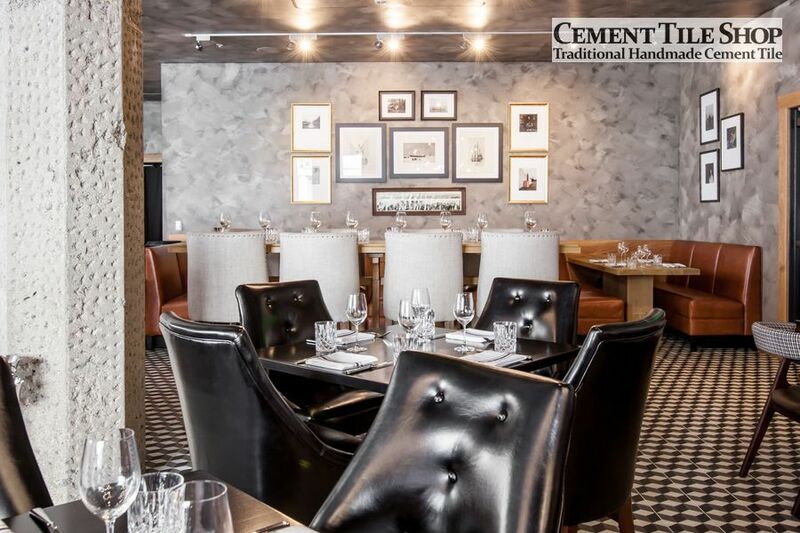 Designed by interior designer Ken Fulk, the restaurant has been featured in Architectural Digest and Travel + Leisure. The restaurant serves up comfort classics from Chef Heather Terhune of Top Chef fame. 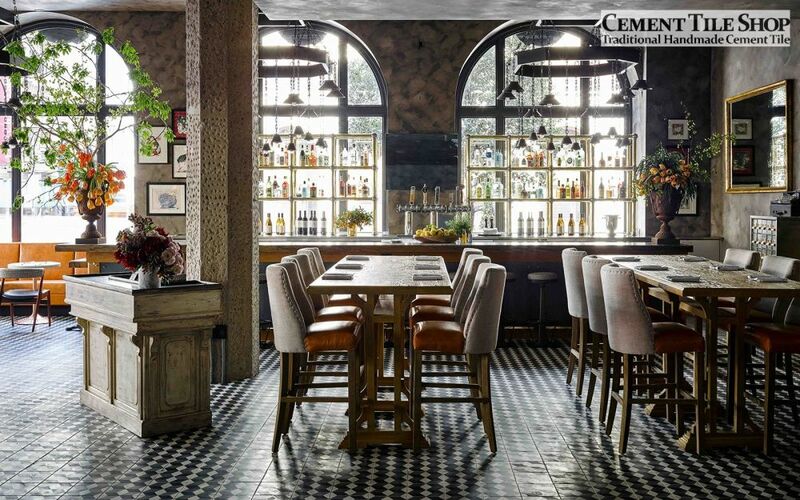 The beautiful space highlights handsome materials such as raw steel, leather, warm wool plaids, darkened bronze and oak. The space has gorgeous arched windows that allow light into the open dining area. 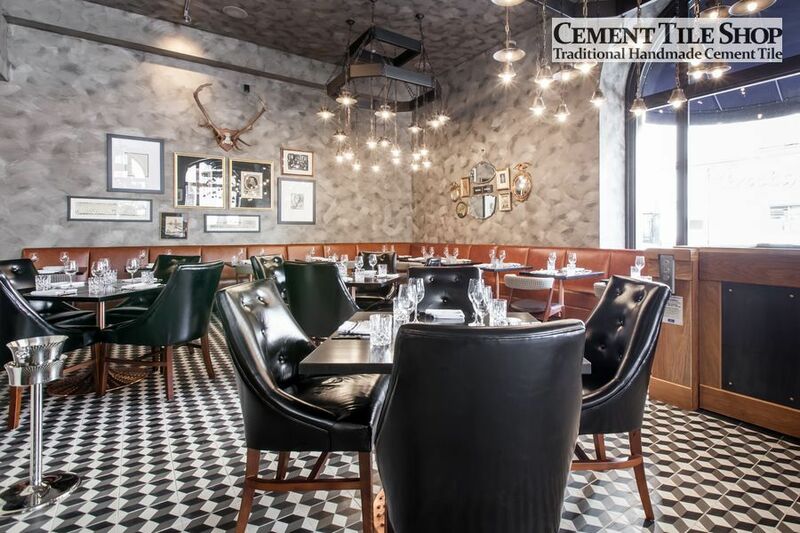 Our Harlequin pattern is used on the floors throughout. 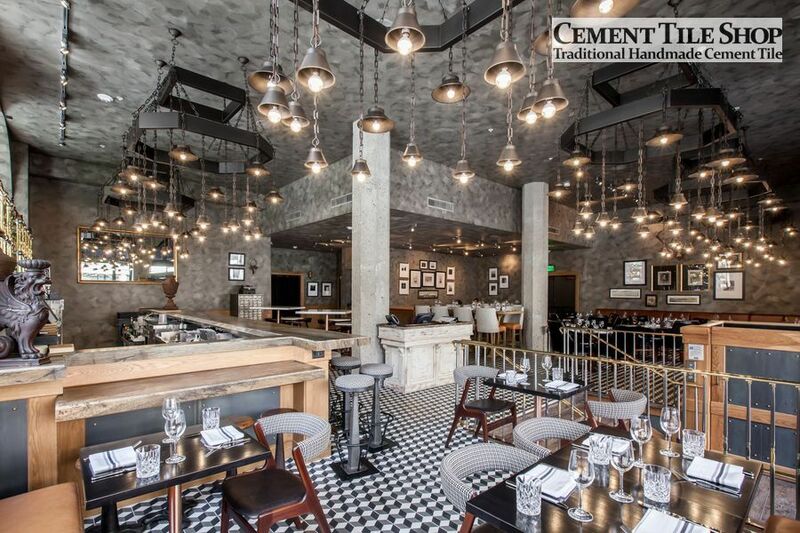 The black, white and charcoal handmade cement tiles really add to the overall feel of the space. 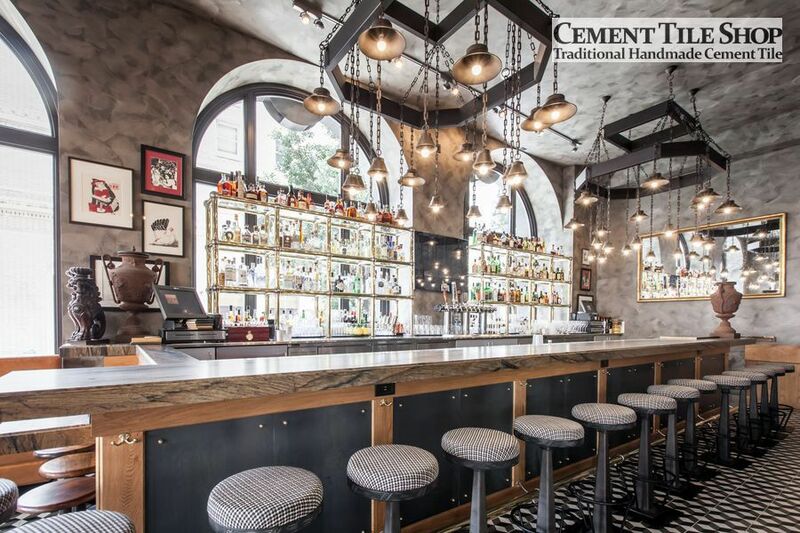 We are thrilled that our cement tiles were used in this project. 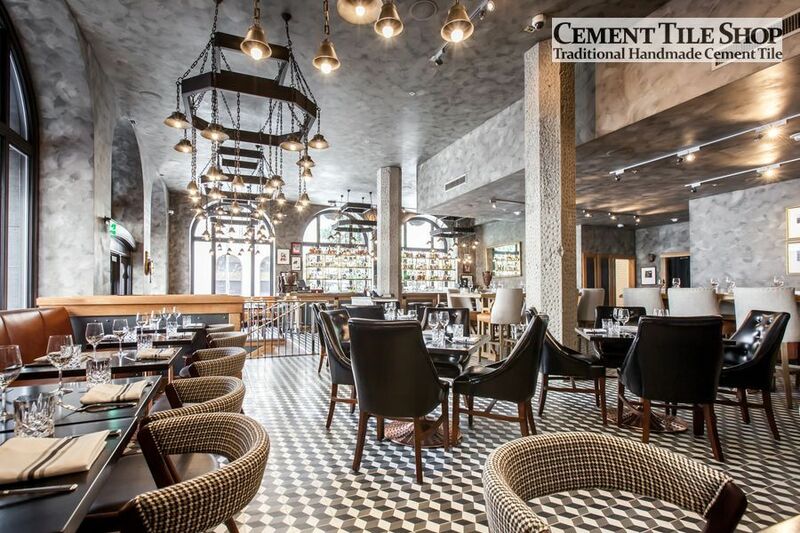 Contact Cement Tile Shop at (800) 704-2701 for more information on how to incorporate cement tile into your next project.